Grid layouts determine the proportion and position of your design elements which is often defined by images used in your layout. Together these draw a complimentary set of proportions which is broken into a composition known as ‘rule of thirds’. Used together they draw out a layout that is not only cosmetically pleasing but also defines structure. Grids have been around in design for much much longer than Adobe has. Traces of grid design have, surprise, surprise been associated with the ancient Greeks although some argue longer than that. Especially in regard to the golden section which ;has its origins in the golden ratio. Its been used in art and design for over 2000 years to perform geometric wizardry. 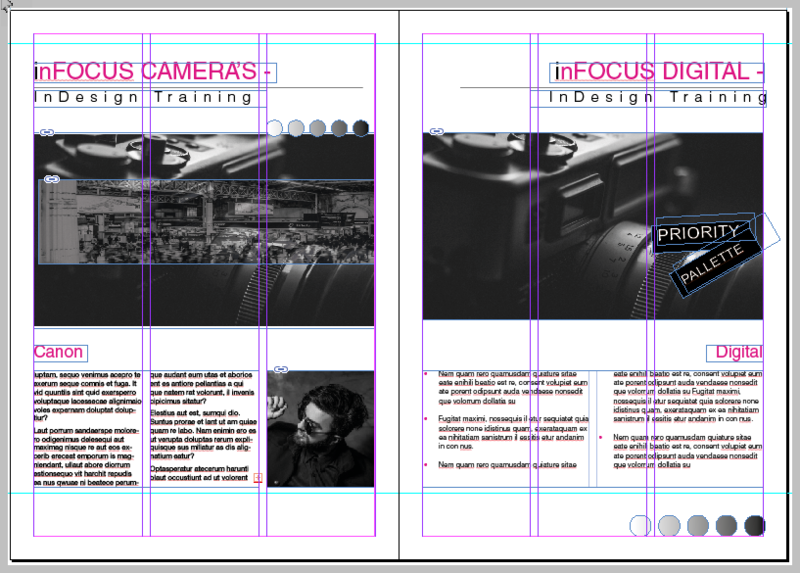 The following images were created by one delegate in the afternoon after a mornings InDesign Introduction Course. We looked at basic grid layout, using colour and also typography whilst learning the software. 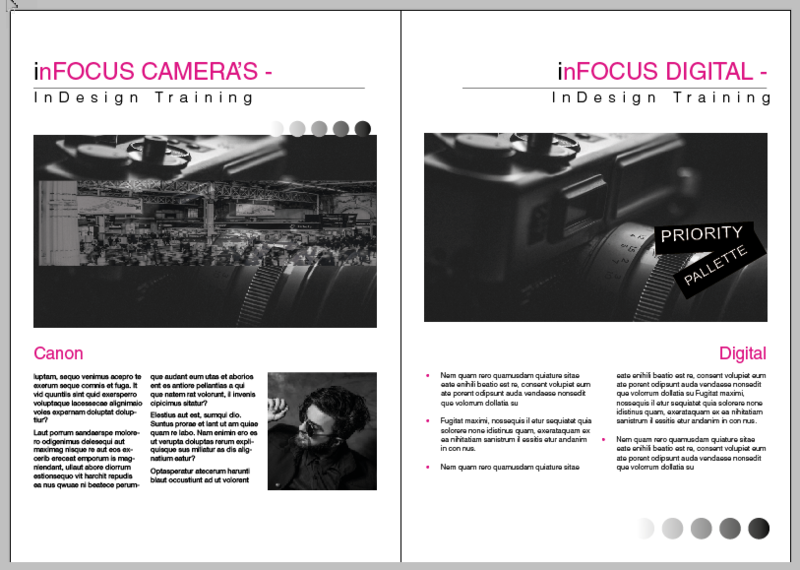 These are typical of the type of work we will do together during the course and of what is possible to achieve.